The two signings of Francisco Nieto and Nacho Martínez have nothing in common. The former was signed by Rayo in 1970 and the latter in 2012. The former is a left winger and the latter a left-back. The former was born in Baza, in Andalusia and the latter was born in Madrid. The only common feature is that both players are 175 cm tall. But they are both examples of how a signing from the depths of the Spanish footballing pyramid can pay immediate dividends. La Masia, like any other academy, is a wilderness. The journey to the end is elusive. Competition is fierce. And survival is almost impossible. Almost - there is a road that many choose to take. The back door. Francisco Nieto almost didn't have to make that choice. After playing for Súria, he signed for Barcelona's youth academy in 1964. He would play there until 1970, rising through the ranks and playing for the juvenil team till 1967, before playing for various feeder clubs - the Barcelona Amateur side (1967-68), Atlético Cataluña (1968-69), and Condal (1969-70). During the 1968-69 campaign, he even played three games with the first team. Languishing in the Tercera (then the third tier), Nieto's future looked bleak, especially when in 1970 Condal merged with Atlético Cataluña to form a new club, Barcelona B, which acted as Barcelona's reserves. But Nieto's career was given a lifeline when Rayo, in the Segunda, where he would go on to play for four seasons. He took the back door, and was an undisputed starter for the first three campaigns, but was largely left on the bench during the fourth. Subsequently, he returned to Catalonia to finish his career at Manresa and Girona for two seasons each - all in the third tier - before retiring in 1978. 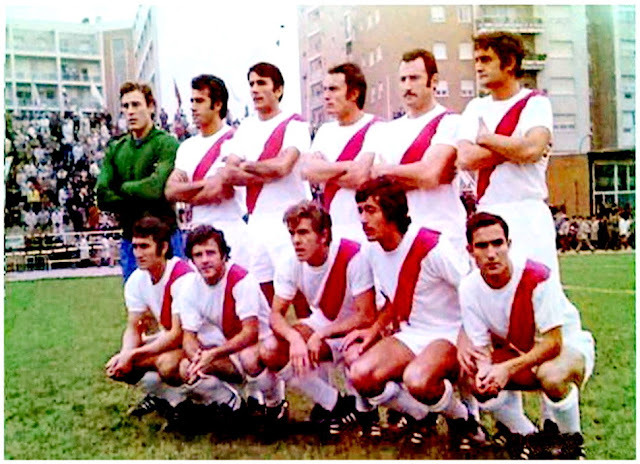 Rayo Vallecano team photo, 1972-73. Nieto is fourth from the left in the top row. His playing career is over, but that of Nacho Martínez is only getting started. His story was even more impressive, mainly because he wasn't even signed for the first team - his arrival in 2012 was to the reserve team, who were languishing in the Segunda B. Born in Madrid, and starting his youth career in Atlético Madrid, Nacho played lower league and amateur football in his first three years as a senior, representing Alcobendas Sport in the Tercera (2008-09), as well as Osasuna B (2009-11) and Getafe B (2011-12) in the Segunda B. And in 2012, the 23-year-old left-back would move to Rayo's reserves in the same division, signing a one-year contract. This wasn't atypical - clubs could barely afford players, let alone long-term contracts. But Nacho was no typical player. By the end of October, he was starting in the first team, playing in the Copa del Rey against Las Palmas. His first league appearance was in mid-November. His first ever league goal was this banger against Levante. And he gave José Manuel Casado a run for his money. He was player renowned for his pace, his determination and his drive on the field. And now they were two. The trust in Nacho grew exponentially later too - an unfortunate knee injury in January 2013 - ironically sustained against his former club Getafe due to a run-in with Lopo - kept him out of the first team for four months and football generally for two. And yet, he was rewarded with a two-year contract extension and a definitive promotion to the main team. Casado left that summer, but Nacho remained integral to Rayo. Whether as a starter or as a backup, his loyalty to Rayo was unquestionable. He rejected a move to Real Betis in 2015, despite the obvious financial and sporting benefits it would bring. 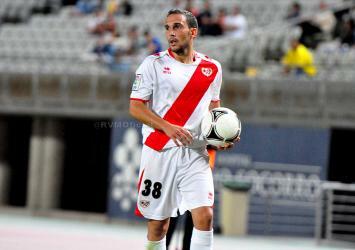 When he left for Real Valladolid this summer, Rayo had lost a back-up player. His services were clearly no longer required. And yet, Rayo lost a servant to the club - someone who knew what the shirt meant. Someone who knew the value of Rayo's back door.